​We are always on the look out for new and exciting sponsors to join our team so if you wo​uld like to help us work towards and hopefully achieve our dreams then please don't hesitate and Contact us today! I am currently, and have been for many years, competing around the country with British Eventing, British Dressage and British Showjumping. I have produced many horses and ponies to a very high standard and with the ambition of becoming a top rider I need to work my very hardest, producing and developing these horses to their full potential. This requires an enormous amount of dedication, support and funding, so to do this I am looking for exciting new sponsors to join the team. In return for your valuable sponsorship, either products in kind or financial support, I can offer a full range of advertising, from press coverage, website adverts, logos on horse equipment, riders clothing and clothing of my support group, as well as the Lorry and trailer that transports the competition horses. I really appreciate you taking the time out of your day to have a look at my website. I am open to all proposals and ideas of sponsorship and support, to help me achieve my dream and progress up the through levels of each equestrian discipline. 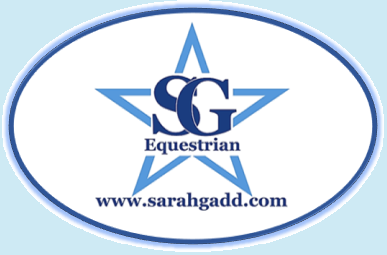 Please click on the links below for more information on my sponsors and the latest news and offers they have as well as the fantastic support they are offering SG Equestrian.